From 1st November, the Victorian Walled Kitchen Garden will be closed to the public for annual winter maintenance until Saturday 10th December, when we open for our ‘Victorian Christmas’. Details of this event will follow shortly. Despite the walled garden being closed, our garden shop ‘La Choppe’ will be open on Saturdays from 9.30am to 12.30pm for unique Christmas gifts. 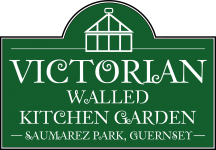 We look forward to seeing you on Saturdays, if you’re passing through Saumarez Park and again, on Saturday 10th December to join in our Christmas festivities at Guernsey’s unique Victorian Walled Kitchen Garden.